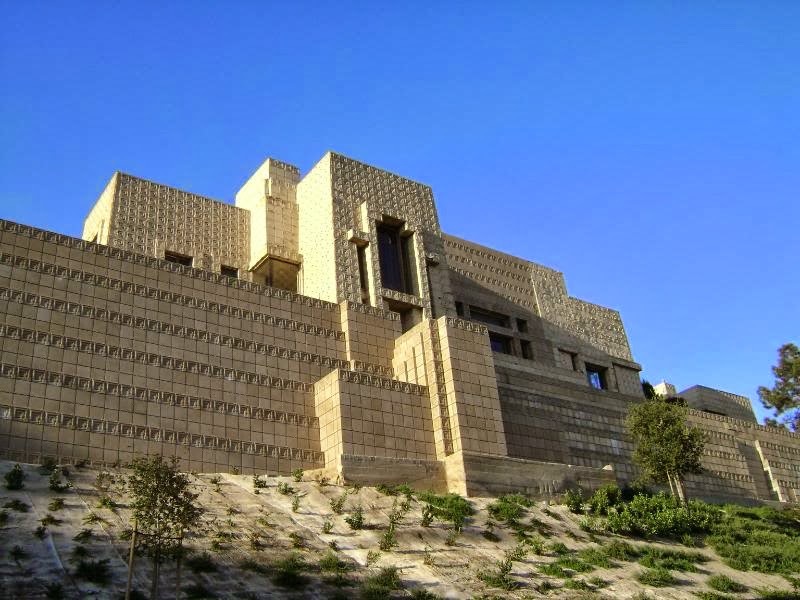 So today I will dedicate my post to the Ennis House. Architecture and art... two of my loves. I remember seeing pictures of it in high school and studying about the Ennis house in one of my art classes in college. Of course, it being a huge lecture class with four different professors that specialized in different centuries and types of art...well things weren't completely covered. When I accidentally came across the Ennis House on one of my LA days a few years ago, I just stared at it in awe. Frank Lloyd Wright (F.L.W.) was a genius. I love the houses he designed. The Ennis House was actually his last of four houses in LA built with this Mayan inspired facade. Mayan's built with symmetry in mind. It's beautiful and intricate. Even the ironwork or the gates are beautiful. The property has the home and then the chauffeur's garage and apartment (that just made me think of the film Sabrina). I think the home was built in the early 1920s for Mr. & Mrs. Ennis. F.L.W. 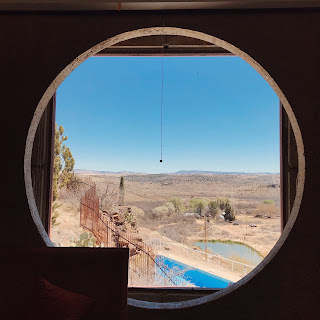 's son, Lloyd Wright built it. Unfortunately it's suffered some damage due to the Northridge Earthquake and rain damage. You can imagine what that can do to a home built of concrete. I was looking for the address (2607 Glendower Avenue, Los Angeles, California 90027) and read that it was sold back in 2011 to Ron Burkle. He is known for restoring historical homes... so that's a good thing. There's more information about Burkle, the Ennis Home, and interior pictures here. 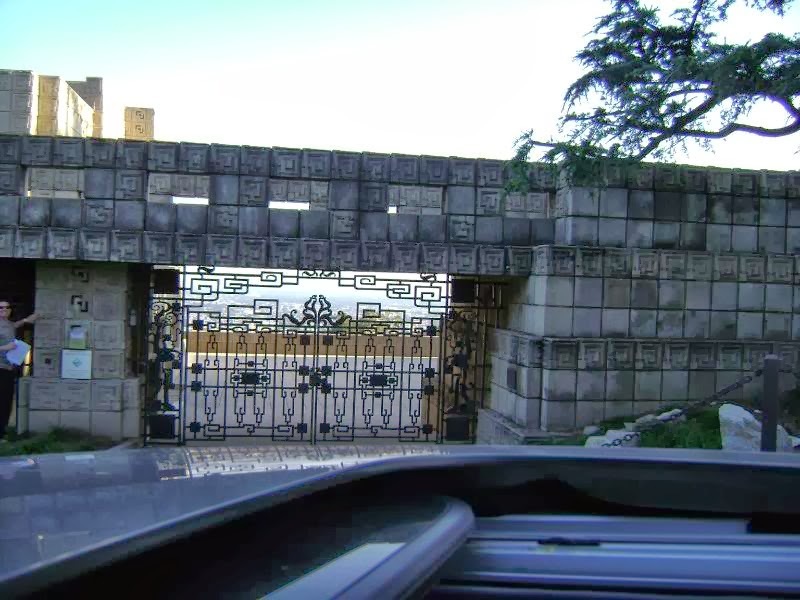 I found these pictures from my first encounter with the Ennis House. I was driving up to the Observatory. I try to drive up there a few times in the year and just take it in. Hopefully you can make it up there as well. Outfit of the Day... It's the pants!